Convicted Major Wimal Wickramage, formerly attached to the Pt. Pedro Army camp yesterday paid Rs. 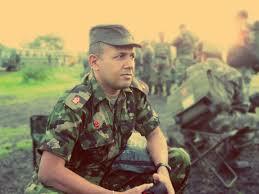 2,000,000 as compensation to the nearest relative of deceased LTTE suspect Robert Wellington. The money was given to the widow. The court directed the widow to take Rs. 1,000,000 and the father of the deceased to take the balance Rs. 1,000,000. The convict also paid Rs. 10,000 as a fine. Deceased Robert Wellington was shot on or about October 26, 1998, when he tried to escape from an army camp by climbing the wall of the camp. The Major was indicted on a charge of shooting and killing the suspect. The Major was convicted on August 31, 2016. Two years rigorous imprisonment suspended for 10 years was imposed, with a fine of Rs. 10,000. The convict was also ordered to pay Rs. 2 million as compensation to the nearest relative of the deceased. The High Court conviction and the consequent penalty was ordered by Judge Sarojini Kusala Weerawardene. Counsel A. Gangaderan appeared with D. M. Siriwardene for the aggrieved party. Senior State Counsel Lakmini Girihagama appeared with State Counsel Yasindu Seneviratne for the Attorney General. Counsels Sanka Amarajith and Thushara Samerapala appeared for the accused. Funds for the compensation and fine were raised by the public voluntarily.